Former Vice President Joe Biden, who served under Barack Obama for 8 years, is seemingly considering his chances of a legitimate presidential run in 2020 to challenge current president, Donald J. Trump. The Democrats are already a hugely failed political party with scandal upon scandal coming to light since Donald J. Trump became the newest democratically elected president. Robert Mueller’s special counsel into the Russian interference in the 2016 Presidential election found no evidence to support the claim, meaning that Donald J. Trump won the election fair and square. 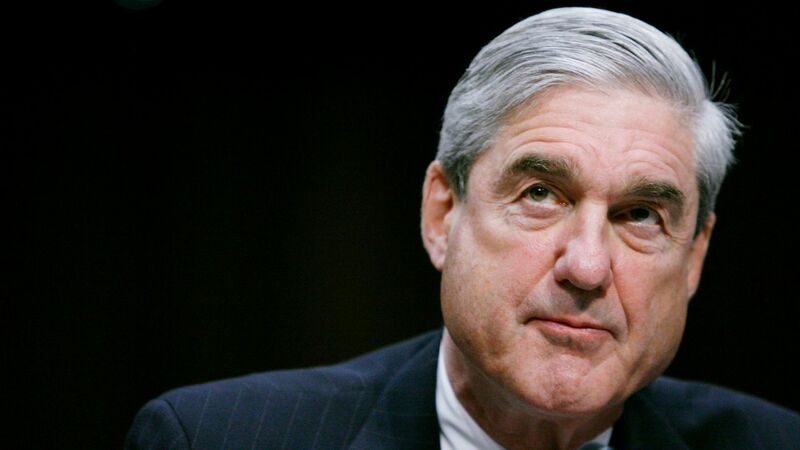 However, in order for Robert Mueller’s failed investigation to not look like a huge waste of American tax payers money (thought to be around the $10 million mark), they have now instead charged 13 Russian nationals who were supposedly apart of a “troll farm”, presumably operating with posts and ads on Facebook which in actuality were only called out after the election had occurred. In turn, Russian Foreign Ministry spokeswoman, Maria Zakharova, called the allegations against the 13 Russian nationals “absurd”. Yes, just imagine 13 Russians somehow being able to “troll farm” their way to make a large majority of American’s vote for Donald Trump, and elect him as President. That’s the narrative of Robert Mueller’s failed investigation. Today, CNN claims that there are Russian bots that are promoting 2nd Amendment rights after Nikolas Cruz’s Parkland high school massacre. You can’t make this stuff up, but CNN are masters of making stuff up with their fake news agenda for deluded liberals, so why should we believe anything dug up by Robert Mueller’s special counsel about the so-called Russian interference? Short answer is, we shouldn’t. When in doubt, what does the failing Democrat party and the Deep State do? They just blame the Russians. Meanwhile, the real collusion, as we all know, was present in Democratic Party and their Uranium One scandal, with Hillary Clinton selling 20% of America’s uranium to Russia. Did Robert Mueller investigate this? Where was the special counsel to investigate that, huh? Hmmm… Are we seeing a pattern of Deep State bias? The real “RussiaGate” lies with Hillary Clinton and the Democrats! Anyway, back to Joe Biden, who is a part of the same Democrat ring, and now the ultimate hope for the Deep State. Not long after many disillusioned people had hoped that Oprah Winfrey would run in the 2020 Presidential campaign for the Democrats, she has since declined to run. With her out of the picture, the Democrats find themselves encouraging Joe Biden to run once again. Why might that pose a problem, one might ask? Well, in this modern-day climate of sexual harassment, sexual assault, and the realisation of the (still not debunked) PizzaGate scandal and its investigation (shunned by mainstream media) never being addressed more than to dispel it, signals that there’s a pedophilia problem that perhaps the mainstream media will have a hard time trying to deny once the very real notion of “Creepy Uncle Joe” Biden comes back to haunt him, before, during, and after his proposed presidential run in 2020. You haven’t heard about Joe Biden’s latest nickname? Well, it is indeed “Creepy Uncle Joe” Biden, if you were not aware. Let us school you on this in-depth look at the most creepy behaviour ever done by a man in politics, blatantly seen in front of the cameras. This behaviour makes George Bush Seniors’, David “Copafeel” scandal look like vanilla ice cream, in comparison. Prior warning for those that haven’t already seen this, this is a very in-depth video, perhaps the most we’ve ever seen (we promise), so you may feel sick, or become enraged while viewing the following video. “No dating boys until you’re thirty”, says Creepy Uncle Joe, amongst many other things, as we have now seen. One now wonders if Joe Biden might just have a problem in convincing the American public that he’s the type of person to lead the United States in 2020. These untoward and blatant approaches at young children in blatant view of the cameras in these days of mass sexual harassment claims may pose a problem, we think. After watching the extent of this truly bizarre behaviour, in the eyes of the public, he’s done nothing wrong and there are no accusations held against him currently. Some Democrats have earlier advised against Joe Biden running in 2020 in the light of many sexual behavioural scandals that have come to light over the past years. Well, one thing is for sure, his behaviour here with various children is not appropriate and downright bizarre, if we may say so. When PizzaGate investigators revealed that Barack Obama ordered $65,000 worth of “Hot Dogs” to a special White House party through those leaked emails, we wonder if Joe Biden was there. Maybe he just prefers “Cheese Pizza”. We can’t say for sure, but that’s a lot of money to spend on hot dogs, isn’t it? Perhaps, this is the sort of behaviour related to the Democrat party under Barack Obama, where strangers children are sniffed, caressed, and just touched in strange liberal ways, or what have you! Video images such as those of Joe Biden and his actions are not going to win him any popularity contests with the world, and indeed the American public, so perhaps the Democrats need to keep looking for a new candidate to run against President Donald J. Trump? In a recent NBC interview, Joe Biden said about his potential 2020 Presidential run, that he would wait and see if it was, “the right thing to do”. Surely with the Democrats saying that Joe Biden has this “everyman” appeal to American voters, we don’t think “every man” would behave in this way with young children, teens and or even women. If every man did that, then they would be brought up on sexual harassment charges, wouldn’t they? Can you imagine the impossibility of (never gonna’ happen) Donald J. Trump being caught acting like a creepy old man that caresses children, like Biden does? Well, there’s the catch, hook line and sinker, since the mainstream media would be all over it. But, Donald J. Trump doesn’t do that sort of unspeakable thing and he has his lovely wife, family and his mission is still to drain the swamp. groping joe, how r those gun-free zones working out?